Congratulations!! to Mary Anne Smith, our sixth Five Words International Poetry Competition winner, for her poem, Monolith. Mary Anne will read as Ó Bhéal’s guest poet at our 12th anniversary event (15th April 2019). Congratulations to all of this year’s shortlisted poets, and for three highly commended entries from Jenny Pollak (Australia), Sophia Li (USA) and Steve Xerri (England). Our thanks to everyone who entered (297 submissions), and we are particularly grateful to judges Bernadette McCarthy & Matthew Geden. The shortlisted poems will appear in Five Words Vol XII, to be launched at Ó Bhéal on Monday the 15th of April 2019, along with the award presentation and readings from contributors. The 7th Five Words International Competition will commence at noon on Tuesday the 16th of April, 2019. 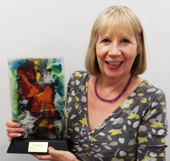 Our hearty congratulations to Jill Munro, this year’s Five Words International Poetry Competition winner, for her beautiful poem, Ptarmigan. Jill’s poem was published in Five Words Vol XI, launched at our 11th anniversary event on April 16th 2018. 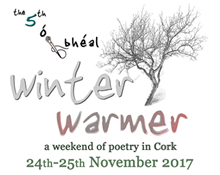 Our warm congratulations also to all of the poets who had shortlisted entries, and for the highly commended entries from Margaret McCarthy and from previous competition winner Derek Sellen. 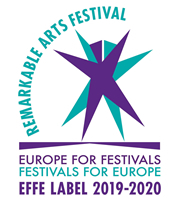 Thanks to everyone who sent in entries, which increased slightly to 293, and our warm thanks to judges Kathy D’Arcy and Rab Urquhart for their hard work in teasing out a very strong shortlist and worthy winner. The shortlisted and winning poems will appear in Five Words Vol XI, to be launched at Ó Bhéal on Monday the 16th of April 2018, along with the award presentation and readings from contributors. The 6th Five Words International Competition will commence at noon on Tuesday the 17th of April, 2018. 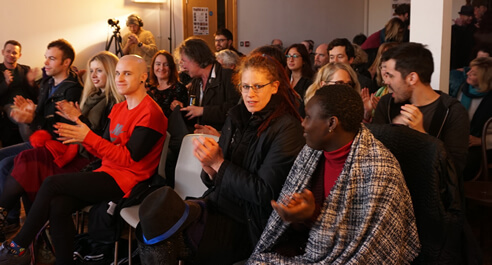 From our end-of-year event with Fernando Beltrán, we have all 14 of his poems on video with translations by Niall Binns and Keith Payne. All videography and hours of expertly-set subtitling by Lovisa Cosgrave. All 14 videos are on our End of Year 2017 with Fernando Beltrán playlist. (or via the Ó Bhéal Youtube channel). 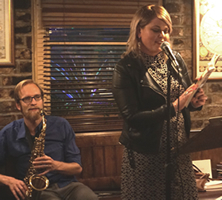 Another amazing night of jazz-poetry with Elaine Feeney & Quango Reinhardt, followed by a superb open-mic section for our 10th jazz-poetry night. These 28 videos were filmed by Lovisa Cosgrave and include ten of Elaine’s poems and the complete open-mic. 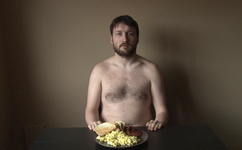 Our hearty congratulations to Canadian filmmaker Kayla Jeanson from Winnipeg, whose superb film Descrambled Eggs is Ó Bhéal’s 5th poetry-film competition winner, announced at the IndieCork Festival awards ceremony. Kayla’s film won amid very tough competition from 30 other shortlisted entries, representing 13 countries, the details of which you can view here. Our special thanks to all the poets and filmmakers who submitted this year. A bumper yield of 186 films arrived from 29 countries. 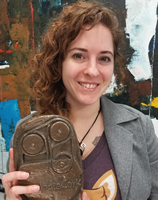 Kayla Jeanson is a Winnipeg-based filmmaker who specializes in producing screendance and work on the edge of documentary. A producer/director for her company Parachute Media Lab, she has developed a wide range of work including broadcast and commercial web video. She is also a trained contemporary dancer and choreographer. Submissions will open for the 6th Ó Bhéal Poetry-Film Competition from May 2018 at this link. 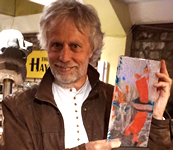 Our congratulations to John Baylis Post, winner of the 4th Five Words competition, for his poem Identifications. John will read at Ó Bhéal’s 10th anniversary event on April 10th 2017, along with other contributors to Five Words Vol X. Our congratulations also to all of the shortlisted entrants, and for highly commended entries from Siobhan Campbell (who will also attend) and from Five Words Alumna Tamara Miles. A huge thanks to everyone who took part this year, and to judges Afric McGlinchey and John W. Sexton for their selection of excellence. These poems will appear in Five Words Vol X, which will be launched at Ó Bhéal on Monday the 10th of April 2017, along with an award presentation and readings from available contributors. The 5th Five Words International Competition will commence at noon on Tuesday the 11th of April, 2017. 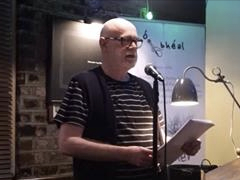 For anyone who missed our phenomenal end-of-year event with Ian Duhig, we have all 11 of his poems on video plus 16 more from the open-mic, with huge thanks to Lovisa Cosgrave! What a night! 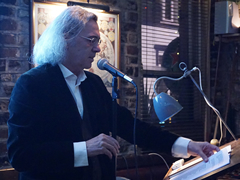 And a big thanks to all on the open-mic, Bernadette McCarthy, John Mee, John Nyhan, Mary O’Connell, Seamus Harrington, Ray Hanrahan, Jason Fisher, Patricia Walsh, Michal Weber, Charles Clarke, Pat Cotter, Mary Sutton, Rab Urquhart, Cédric Bikond, Michelle Delea, Janie Sparks, Patrick Loughnane, Teresa Honan and Ciarán MacArtain (with Michal). All 27 videos are on our End of Year 2016 with Ian Duhig YouTube playlist.